Sometimes patients have many painful or unsavable teeth and elect to have all teeth removed and have a denture placed. 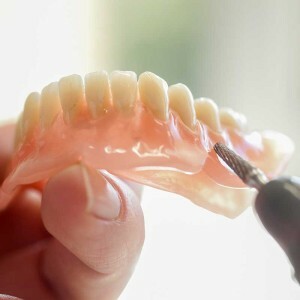 Dentures, or “plates,” are false acrylic teeth that can be removed at any time. Dentures can look very natural and work well, however, once teeth are removed, the bone changes over time and decreases. For this reason, dentures typically do not last a lifetime, but need to be relined or remade typically after 5 to 10 years. 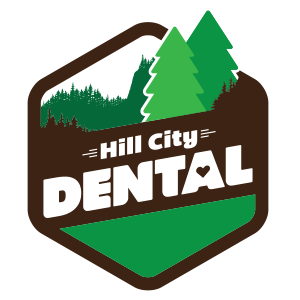 There is a period of healing after teeth are extracted when the tissues and bone “remodel.” Patients typically don’t like to go without teeth. Dentures can be placed immediately after extractions, but within 3 to 6 months the denture will need to be relined to establish a good fit. If there is some concern about the denture’s stability, implants can be placed for the denture to hook onto. Another option if sections of the patient’s dentition are missing but other teeth are stable, are partial dentures. These are removable appliances as well, but hook onto existing teeth for stability.